When a mysterious object crashes into a lighthouse, it creates a phenomenon known as ‘the shimmer’, a zone that appears to alter the plants and animals within it. No one who has gone into the shimmer has returned, but growing out of control, biologist Lina (Natalie Portman) is sent in with a strike team to try to stop it. The last year or so has seen the return of high-profile science fiction, some well-received – Blade Runner 2049 – some less so – The Cloverfield Paradox, Mute. Among the modern milieu, it’s certainly fair to say that the genre’s typically cerebral, slow pace is more often passed over for flashy action with sci-fi trappings with Alien: Covenant privileging panic over existential pondering, and even Duncan Jones, director of the wonderful Moon, recently dropped the ball with his futuristic Netflix noir. Yet fresh from his superlative AI thriller Ex Machina comes Alex Garland with a reminder of what science fiction cinema is really about: a journey into the unknown. It’s no surprise that horror and sci-fi have historically been such good bedfellows since, as we learn with Annihilation, that journey is often very frightening. Taking its inspiration from a dozen sources, Annihilation’s premise resembles Andrei Tarkosvky’s Stalker with a measure of Solaris-esque relationship drama thrown in for good measure. Yet in tone and visual sensibility Garland most closely evokes Lars von Trier’s Melancholia, in which immediate panic gives way to drawn-out existential dread, offset by the maddeningly shifting colours and forms created by the shimmer. Where von Trier’s film used earthly destruction as a metaphor for severe depression, here the shimmer represents more of a reflection, or rather refraction, of ourselves as biological entities. As the team head deeper into the zone towards the lighthouse, the mutations of its inhabitants become increasingly profound and unsettling. Animals make noises no animal should, fingerprints swirl and blooming flowers adopt anthropoid shapes. The effect of all this imagery is to blur the biological boundaries of the affected inhabitants – a reminder of our shared evolutionary ancestry and the arbitrary distinctions between ‘us’ and ‘them’. And the climax of this thesis, taking place at the lighthouse, is perfect – a site of delineation and liminality between solid ground and shifting water. It’s a crying shame that the UK release of the film has been limited to Netflix instead of a full theatrical release. It may well make business sense for Paramount, but after the disappointments of The Cloverfield Paradox and Mute, another VOD-only sci-fi release will be a tough sell for many viewers. It’s fair to say that some of the blocking and pacing of the early scenes have a certain ‘TV’ quality to them, but it’s difficult to tell how this would play out on the big screen- not to mention that the visual impact of the later scenes is invariably hampered by the small screen. Don’t let the sub-par efforts of other Netflix offerings fool you – this is quality filmmaking for grown ups. 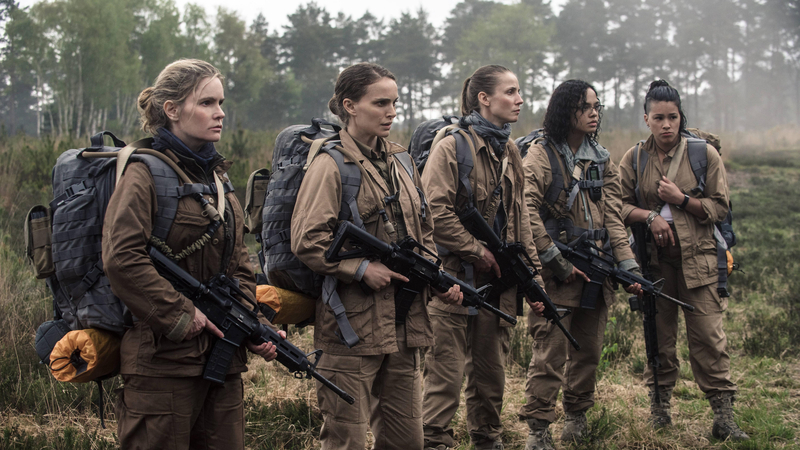 Garland’s ambition occasionally outstrips his execution but Annihilation is nonetheless proper, intelligent sci-fi – an ambitious, challenging film that deserves a wide audience. More of this, please. This article is contributed by Monster Casino which has a diverse range of handpicked casino games from the leading game developing titans. It also has exclusive bonuses and other exciting offers which players can make use of.